Founded in 2017 by Aspens Senior Living – a developer with independent living facilities in Dallas-Fort Worth, Raleigh and Phoenix – The Aspens at Wade Park is a stylish, modern community for independent active adults in Frisco, Texas (now operating as Overture Frisco under the management of Greystar Real Estate Partners). The Aspens at Wade Park had 62 out of 162 units occupied, with the goal of increasing unit occupancy to 50 percent, or 81 units. 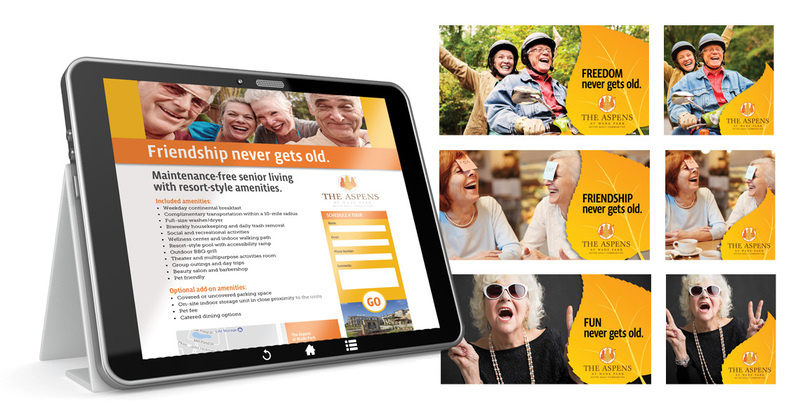 Aspens Senior Living asked us to develop a creative campaign and media plan to drive tours, and ultimately sales, to the Frisco property. We would be competing with 15 other senior living facilities in the area, several of whom had strong digital presences. We looked at the advertising of competitors in the market and saw a sea of sameness –stereotypical stock imagery of seniors involved in laid-back activities. Yet we found that with people living longer, healthier lives, retirement doesn’t look like it used to – prompting us to use more unique, lively imagery. We also learned that 87 percent of our target audience would prefer to age in place by modifying their existing homes – moving us to emphasize not only the amenities offered by The Aspens at Wade Park but the ample opportunities residents have to be part of a vibrant, active community with a lock-and-leave lifestyle. Our central concept was that getting older doesn’t mean giving up the fun stereotypically reserved for younger people. We included that fun in the imagery we chose: quirky photography of seniors full of personality, with the phrase “never gets old” to connect with an audience that still feels young. We also incorporated content marketing using information that would be relevant to our target audience, such as a blog with tips on downsizing a home. Balcom incorporated multiple types of digital media, including Google Search, Yahoo native, Facebook and display ads, all pointing to a blog post or customized landing page designed to direct interested audiences into scheduling a facility tour. Programmatic advertising involved contextual targeting (showing ads based on the content they are looking at on the page), search retargeting (showing ads based on keywords they have entered into search engines) and site retargeting (showing ads on other sites after they have visited our site). All the ads were geotargeted to appear within 15 miles of the facility. 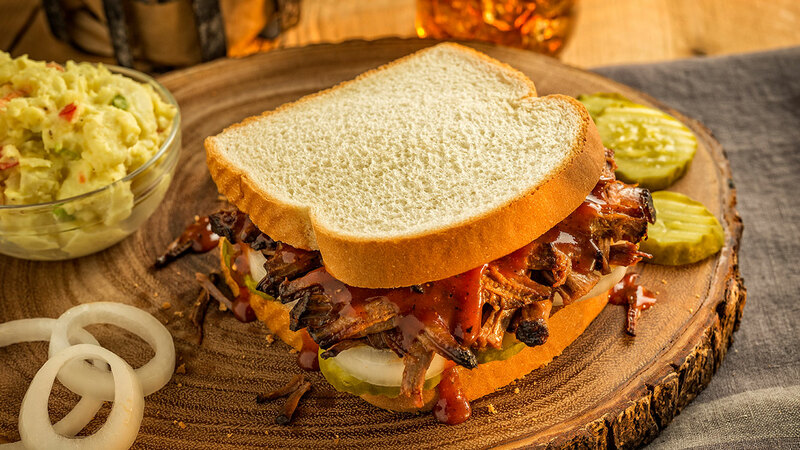 During the two-month campaign, the brand saw an 836 percent lift in overall website traffic. Display ads convinced 160 people to call, request more information or schedule a tour, with the spunkiest creative attracting the highest engagement. The Facebook click-through rate was more than double the industry average. Within three months, Aspens had exceeded its goal of 50 percent occupancy.